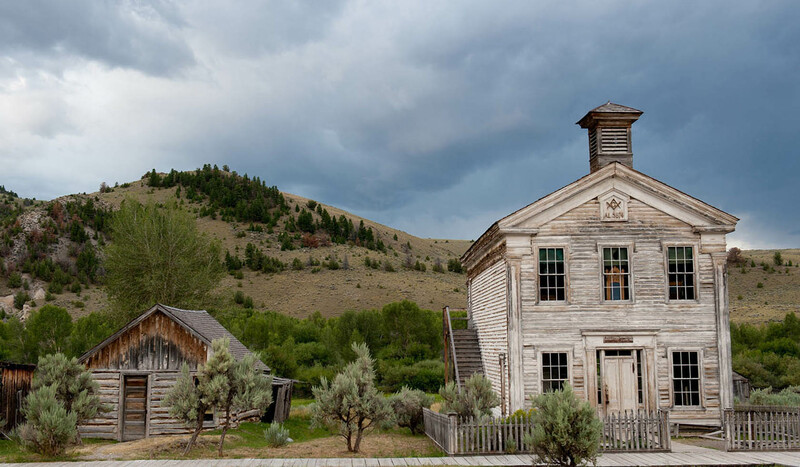 "Come walk the deserted streets of Bannack and discover for yourself what the old west was really like. 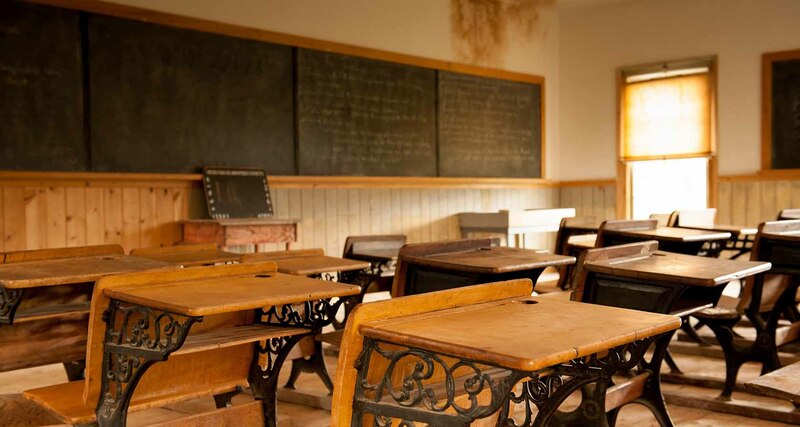 Bannack is one of the best preserved ghost towns in the country. It is unique, preserved rather than restored; protected rather than exploited." Bannack State Park is a registered historic landmark and the site of Montana's first major gold discovery on July 28, 1862. 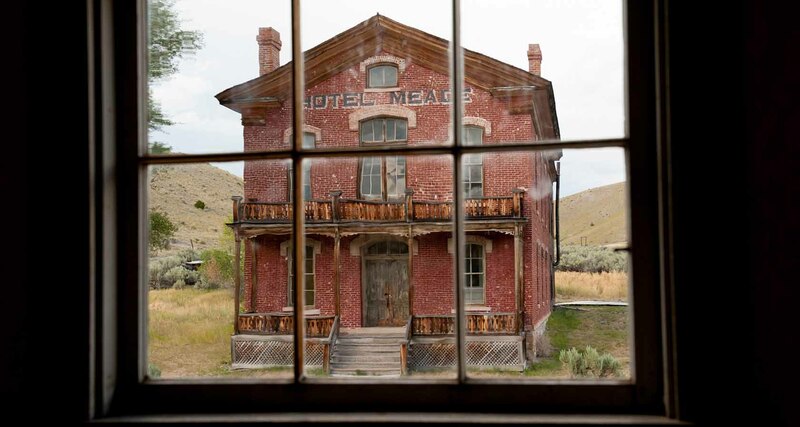 This strike set off a massive gold rush that swelled Bannack's population to over 3,000 by 1863. 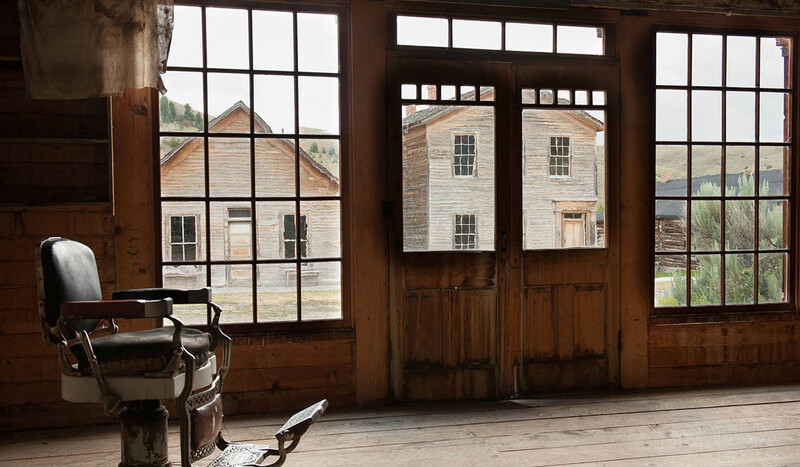 As the easy to work gold deposit were exhausted, Bannack's bustling population steadily declined. The town became a state park in 1954. There are over 50 buildings that line Main Street with their historic log and frame structures that recall Montana's formative years. The park is 5,837 feet in elevation and approximately 1,600 acres. The campgrounds have 28 sites. A tepee is also available to rent. The Yankee Flats Shelter and picnic site is available to rent for large groups. There is a 14 day camping limit and fees for camping. Fishing, camping, picnicking, bicycling, hiking, wildlife viewing, interpretive programs, photography and cultural events are all available. 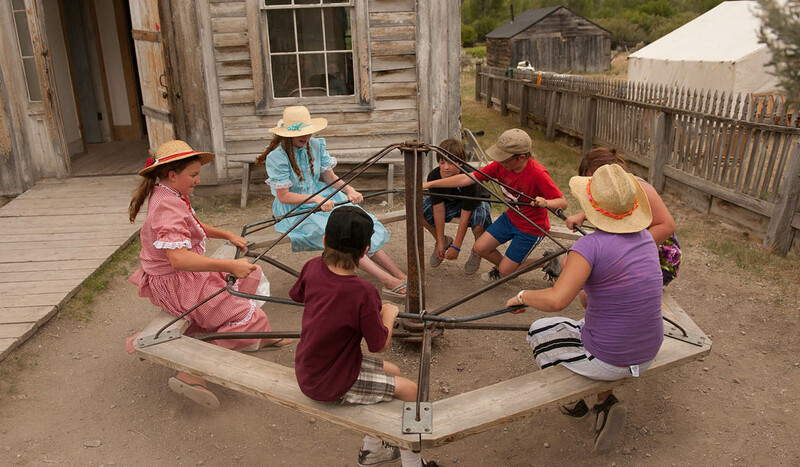 Guided tours and gold panning are offered in the summer. The campgrounds include vault toilets, grill/fire rings, firewood, picnic tables, trash cans, drinking water, and access to Grasshopper Creek for fishing. The Visitor Center is open daily from Memorial Day through Labor Day. Dress warmly and skate on the frozen dredge pond from December 26th (weather permitting) to the first week in March. Warming house hours are 11:00am to 5:00pm on weekends. Skates are available or bring your own. Hot drinks, videos and gifts are offered in the warming house. There is a $5 day use fee. Bannack State Park is located in the southwestern area of Montana. Take I-15 south of Dillon to exit #59 (Highway 278 exit.) Drive west on Highway 278 for 18 miles. Turn south onto the Bannack Bench Road and travel four miles. Park entrance road will be on the left hand side.